To All Elbow Pain Sufferers LEARN SIMPLE STRATEGIES TO TREAT YOUR ELBOW WITHOUT THE NEED FOR INJECTIONS, MEDICATION OR USE OF AN ELBOW BRACE. Do you need to wear an elbow brace everyday and all day? 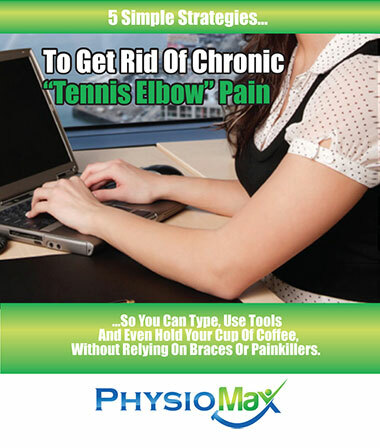 Do you drop objects from severe elbow pain? Do you struggle with opening tight jars? Do you have problems typing all day at work? FREE YOURSELF FROM THESE PROBLEMS AND FEEL GOOD ABOUT YOURSELF.